This file includes a picture, name tag and function tag for each of the ten organelles. Students choose a color (or can be assigned a color) for each one and color the picture, name tag and function tag that same color. They then pick a different color and move on to the next organelle. 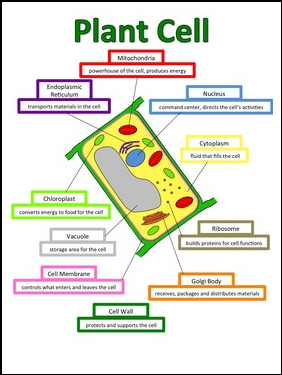 Finally they cut all the parts out and paste them together to make a plant cell they can reference when studying for the unit or semester assessment. A completed, color version is included! This activity is an excellent addition to an interactive science notebook! If you have any questions about this product, please email me at ahousecalledhome@gmail.com. Follow me by clicking the little green star in the top right.